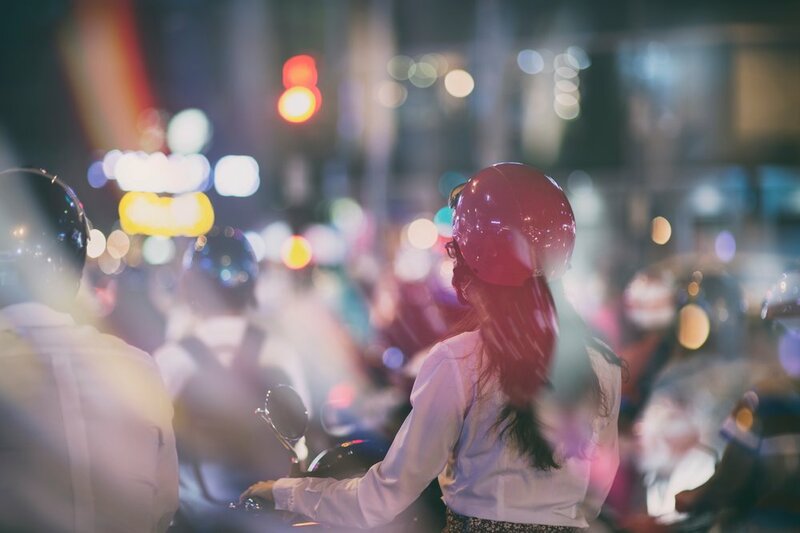 This consumer research was focused on the tech savvy, urban millennial in Asia and specifically their expectations for an energy transport brand. It was undertaken to bring a sharper definition to who this global audience is as a psychographic cohort. This research was the basis for more segmented personas. The active urban dwellers who are ahead of the curve, in the know and always on trend. They expect to do more and do it differently. Constantly on the go and powered by mobile their world is ever updating. They’ve grown up as a generation more connected and more global than ever before and their social convictions are stronger for it. Mindset Values The values that shape their attitudes and behaviors globally. Their identity is intermingled with the tech they use - they band together not around the things they like but around the people they are. The products and services they invest in are part of the image they project, style is a personal statement, brand values should reflect their values. Image is everything and those who know, know - it’s what makes a stranger an ally. These realities cross global boundaries inspiring communities around causes and shared purpose. Emerging technology is always on their radar - they move on it first or fast depending on spending power. Keeping up with the latest trends is a priority and they see beta testing as both a privilege and a duty - they don’t just consume, they contribute. They view technology as a means to move forward, and those who have it first move farther and faster. They want to digitize their everyday - seeking modern tools to enhance their ultra-connected urban life. They’re fully mobile, data driven and accustomed to automatic updates. Change signifies advancement and they want intelligent controls that deliver elevated performance. Accessorize, organize, optimize - there is always room for improvement. Globally connected and socially aware - they’re active in the conversation about positive impact fully aware of the power of influence. They care about making the world a better place and expect brands to contribute to their cause, if there’s a greener, local or more ethical option, they’ll choose it every time. Their future is bright and they intend to keep it that way, that means investing more in alleviating environmental strains, rallying for ethical industry practices and demanding authentic and inclusive brand conversations. They expect more - products and services are no longer standalone but part of ever expanding ecosystems. With constant advances in tech the biggest product improvements can’t be seen but they can be installed. Smart devices are constantly connected and communicating, learning patterns and behaviors to become smarter and more personal. Mindset Drivers & Purchase Motivations The key drivers that influence their motivations to purchase & what they want/need from a scooter.